The annual ÄRT MAISON evening began at the historic Casa de Sueños Estate, home of online marketing power couple JR & Loren Ridinger, in the beautiful formal gardens with an Avión welcome cocktail to kick-off the artful evening with a curated guestscape from the art, fashion, business & entertainment worlds. 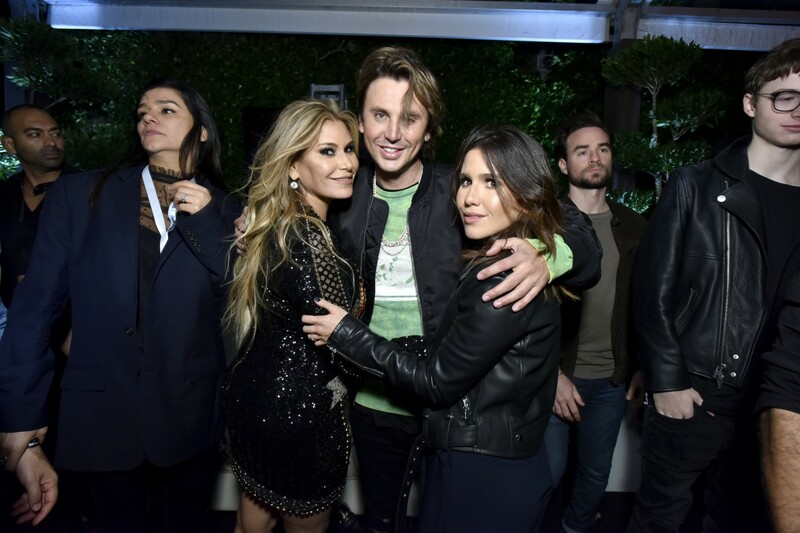 Co-hosts Duane McLaughlin & Amber Ridinger McLaughlin, of DNA Atelier, were scene warmly embracing artist Shepard Fairey with his lovely wife Amanda, and introducing them to featured artist for the evening, Daniel Arsham. The art world superstars Fairey & Arsham were overheard praising each other and saying that they are fans of the others work. Guests then moved into the grand ballroom for dinner with McLaughlin welcoming guests and speaking to the history of room and number of celebrations that took place there on the 100 year old floor, which JF & Loren now graciously host. 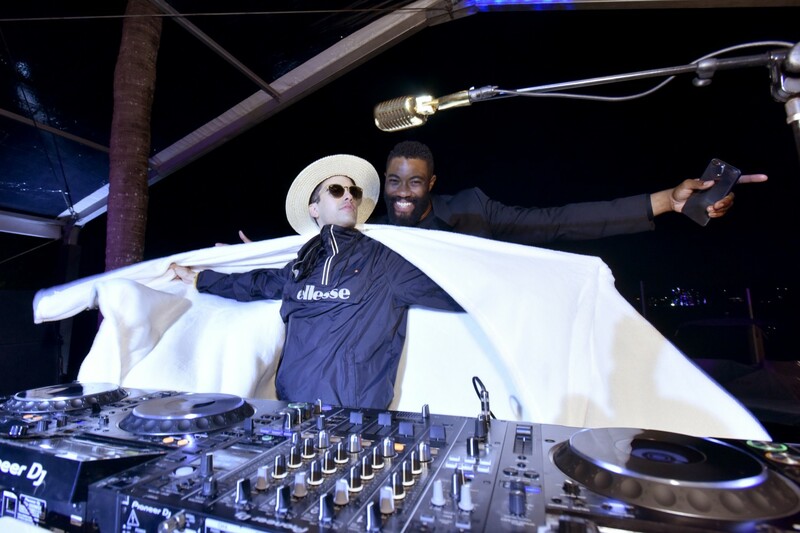 He then announced the Daniel Arsham Fellowship, presented by the Ridinger-McLaughlin Family with the National YoungArts Foundation, a major new granting program for aspiring visual artists up to three years out of receiving their Bachelor of Fine Arts. For the next three years, one YoungArts alum a year will receive an unrestricted prize of $25,000 and year-long mentorship opportunities with Arsham. “I can’t wait for you all to see the amazing installation Daniel has created in garden at the house. And it is thanks to Daniel that Amber and I were introduced to the National YoungArts Foundation, based right here in Miami. YoungArts is an organization committed to supporting aspiring and early career artists through unparalleled mentorship opportunities and professional and artistic development programs. When an artist decides that this is what they want to do for the rest of their lives, that’s like magic. They know they have the gift and that it is a blessing. As an artist myself I know firsthand the power of mentorship and access to platforms that can help propel artists. Without these tools, I would not be where I am today. So thank you, Daniel. Because of you, I now know that there is an organization out there that seeks to support the next generation of great artists, the Daniel Arshams of tomorrow, and I am honored to be part of their mission” remarked McLaughlin. “The mission of the National YoungArts Foundation is best seen at work in artists such as Daniel Arsham, who has not only become a leading artist in his field, but who is also paying it forward and helping us support artists for years to come,” said YoungArts Trustee Sarah Arison. Music super stars Fat Joe, Bon Jovi drummer Tico Torres, Israel Houghton and Adrienne Bailon were seen signing along to YoungArts alumni Grace Weber’s rendition of her song “Through The Fire.” Next featured artist Daniel Arsham remarked “Carolina, Sarah and the entire board of Trustees at YoungArts thank you for inspiring me when I was a teenager and for continuing to push the envelope of what early arts support can look like. When I was just starting out I can only hope that this opportunity might do the same for three extraordinary artists. But which artists? To help us decide we have gathered a jury of internationally renowned artists and YoungArts Master Teachers, including Derrick Adams, José Parlá, and Teresita Fernández along with myself and Carolina. Over the past month, through a blind adjudication process, we have been reviewing portfolios of YoungArts winners’ who recently received their BFA… All unbeknownst to them! So, you might imagine the excitement and surprise we heard when we notified the inaugural Daniel Arsham Fellow. Duane, Amber and Sarah, will you please join me to announce our first Fellow? Ladies and gentlemen, it is my distinct honor to introduce the inaugural Daniel Arsham Fellow, SHENEQUA.” To which guests jumped to the feet giving the inaugural fellow a standing ovation. SHENQUA then addressed the very engaged guests saying “Thank you to the Ridinger-McLaughlin family for generously supporting my art practice and the arts. Thank you YoungArts President & CEO Carolina Garcia Jayaram and my YoungArts family for being an organization who continues to value and support young artists such as myself. 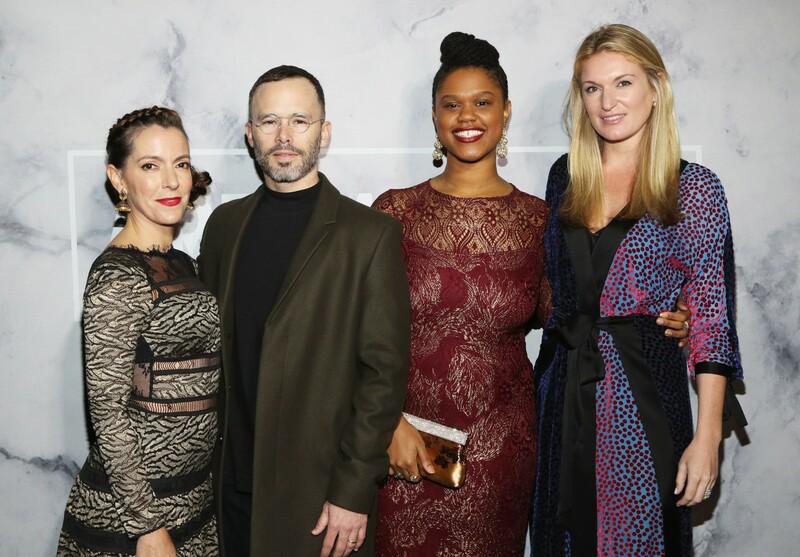 Thank you Daniel Arsham for helping to create a fellowship that further expands YoungArts’ support of alumni and yet again encourages them to pursue their careers in the arts.” To which the guests, lead by supermodel Karolina Kurkova, again jumped to their feet. 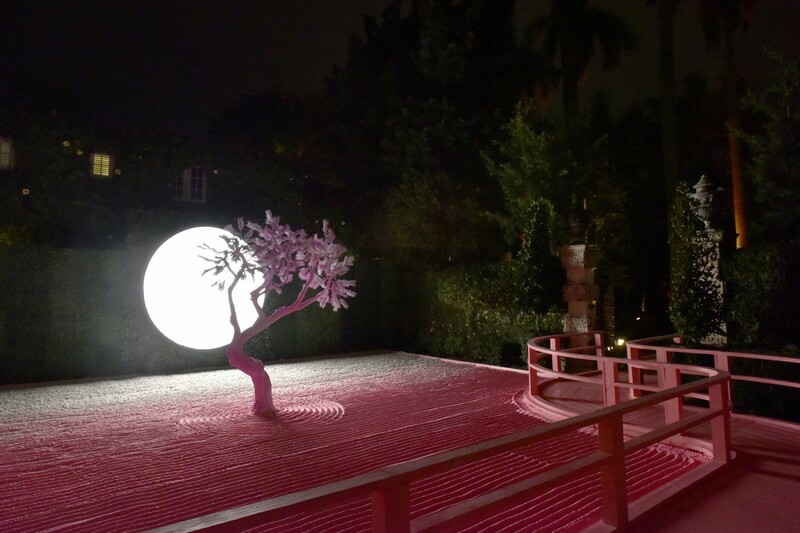 Co-hosts JR & Loren Ridinger then invited guests to move to the gardens to view Arsham’s incredible original work Lunar Garden, installed for the evening before heading over to the party presented in collaboration with Bentley, and with music by superstar DJ Cassidy. Guests arriving for the bash were seen animatedly posing for selfie’s in front of the bright pink installation, including supermodel Petra Nemcova with Ladies of London star Caroline Stanbury. While Amber Ridinger-McLaughlin was spotted giving actress Eva Longoria and singer Alicia Keys a personal tour of Arsham’s work.